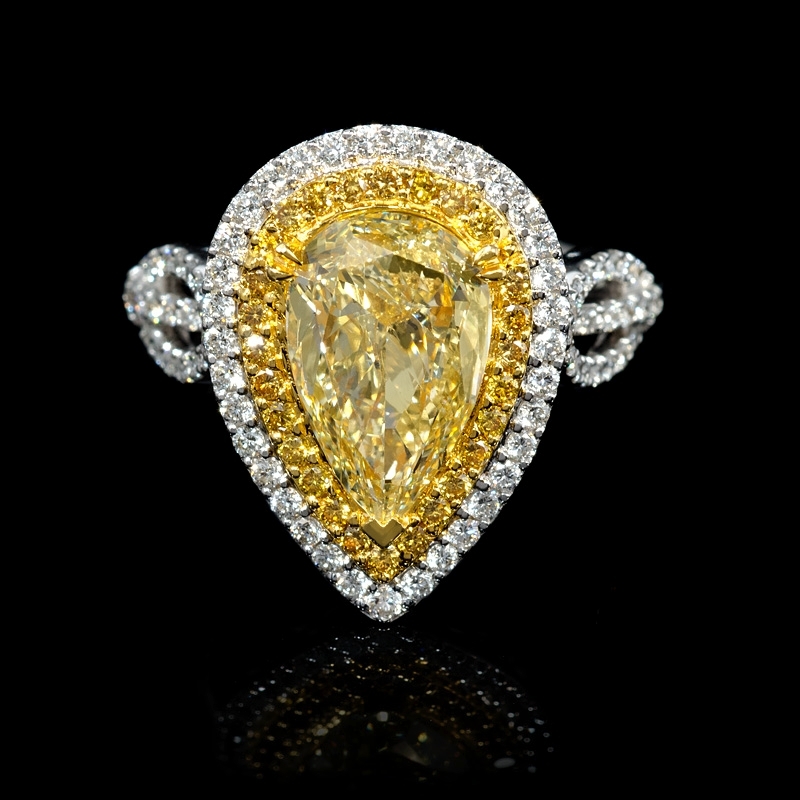 Center Diamond Details: 1 GIA certified pear cut fancy yellow diamond, of VS2 clarity, weighing 2.13 carats. White Diamond Details: Round brilliant cut white diamonds, G color, SI clarity, of excellent cut and brilliance, weighing .67 carat total. 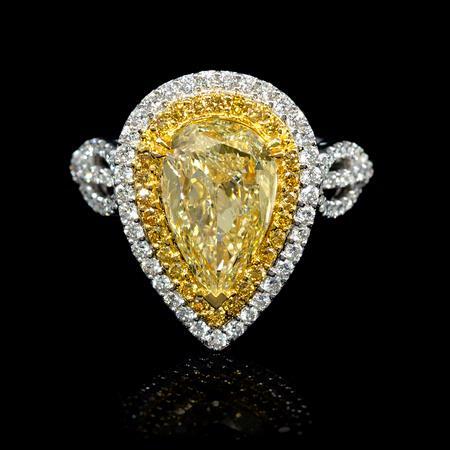 Yellow Diamond Details: Fancy yellow round cut diamonds, weighing .30 carat total. 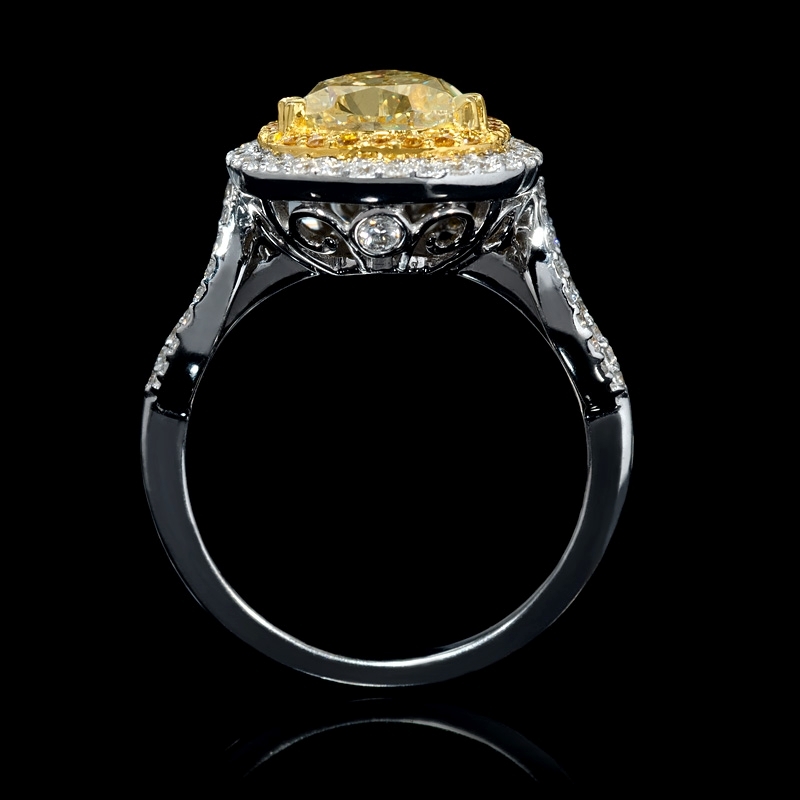 Ring Details: 18k white and yellow gold design. Measurements: Size 6.75 and .75 of an inch at the widest point. Some sizes may be special ordered and take approx 4-6 weeks to deliver. 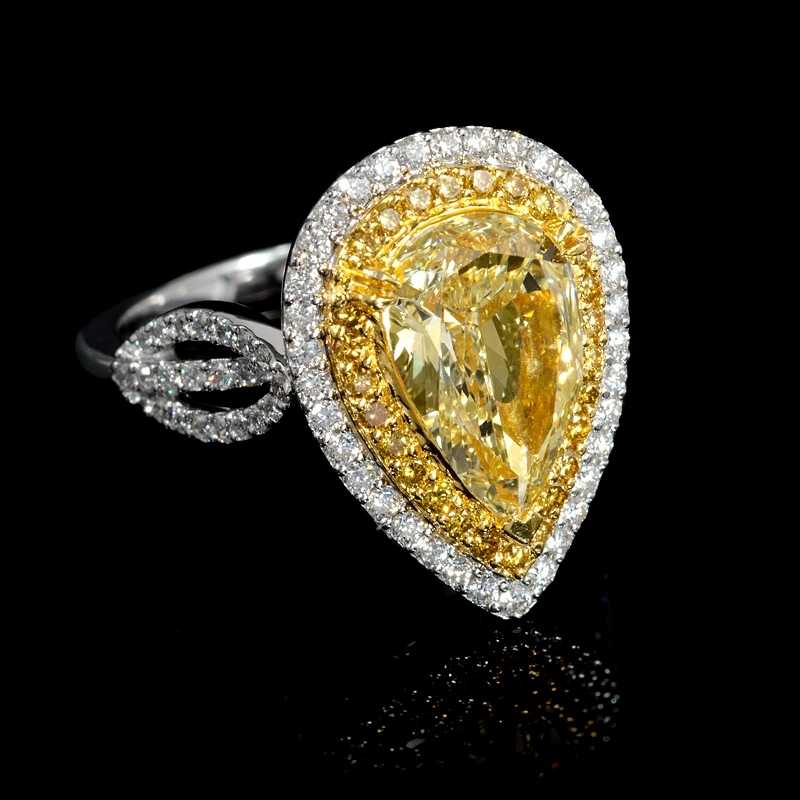 This exquisite 18k white and yellow gold engagement ring, features round brilliant cut white diamonds of G color, SI clarity, of excellent cut and brilliance, weighing .67 carat total, surrounding a GIA certified center, pear cut, fancy yellow diamond of VS2 clarity, weighing 2.13 carats, beautifully surrounded by yellow diamonds, weighing .30 carat total. The ring is a size 6.75, and is .75" at the widest point.